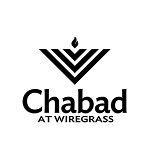 Want to keep in the loop on the latest happenings at Chabad at Wiregrass. Subscribe to our mailing list below. We'll send you information that is fresh, relevant, and important to you and our local community. 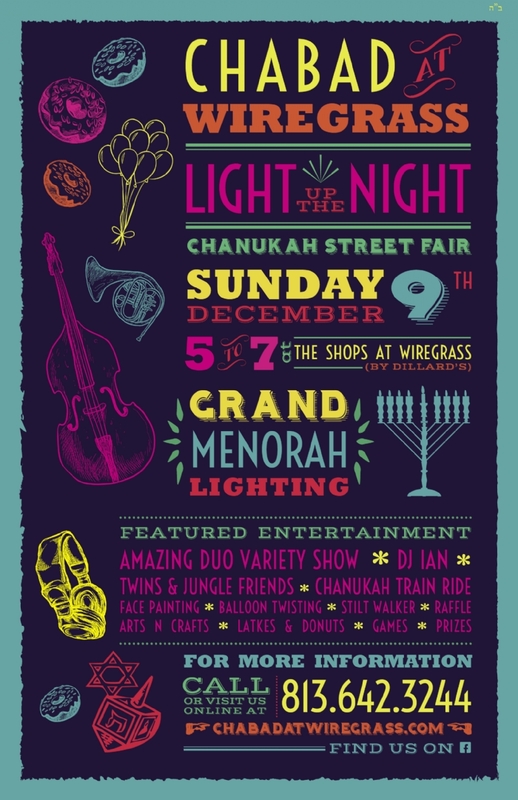 Join Chabad at Wiregrass for a Chanukah Street Fair & Light up the 8th night at our 10th annual Chanukah celebration. Sunday, Dec 9, 5:00pm - at the Shops at Wiregrass (in front of Dillards). Amazing Duo Variety Show, DJ Ian, Twins & Jungle Friends, Chanukah Train Ride, Face Painting, Balloon Twisting, Stilt Waler, Raffle, Arts n Crafts, Latkes & Donuts, Games, Prizes! All are welcome ~ No charge ~ Bring a friend!